Jaimee joined the Nantucket Cottage Hospital Sports Medicine & Physical Therapy team as a Physical Therapy Assistant in 2008. She has a special interest in orthopedic conditions, balance disorders, and sports specific rehabilitation. Jaimee has advanced training in obstetric rehab, shoulder disorders, sports related concussions and rehab utilizing Nintendo Wii. Jaimee has participated in continuing education classes for muscle energy of pelvis, sacrum and lumbar spine. Patients find Jaimee’s energy and enthusiasm inspirational and often compliment her for her personal approach to recovery and her ability to provide an enjoyable learning experience. She provides care to the outpatient, inpatient and swing bed rehabilitation patients. She has also provided community-based prenatal exercise classes. Jaimee also mentors Nantucket High School students interested in a career in physical therapy or sports medicine. Jaimee was raised on Martha’s Vineyard and moved to Nantucket in 2006. She married her husband in the fall of 2006 and welcomed their son Andrew in 2007. She enjoys spending time with her family and taking advantage of what Nantucket has to offer. 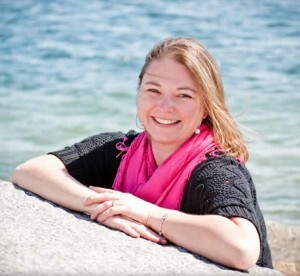 Jaimee earned her Associates Degree in Science from Bay State College in 2006.